The optimal feeding for the premature infant has yet to be defined and, in particular, the most advantageous intake of protein has been the subject of considerable investigation. 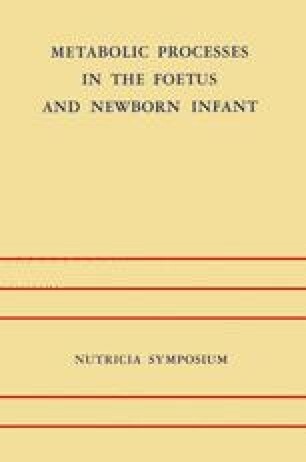 Human milk with its low protein content was widely used and considered to be the feeding of choice until the studies of Gordon and Levine (I) indicated that premature infants, especially those with birth weights of under 1600 grams, gained weight more rapidly and retained more nitrogen when fed cow’s milk mixtures that contained a good deal more protein. These mixtures, however, also contained more minerals and several observers (2–4) suggested that the increased weight gain was the result of fluid retention. With greater appreciation of the strain of an increased solute load on the immature kidney, most recently there has been a tendency to feed a more moderate protein intake, in the range of 3 to 3.5 grams/kilogram/day. Supported by National Institute of Health Grants HD-02064 and HD-02760.